BRIGHTON, Mich. - Meet the newest member of Ford Motor Company's F-150 lineup, the all-new SVT Raptor. Ford's Next-Generation SVT Raptor is an off-roading beast and without a doubt the top-performing off-roading pickup in the lineup. 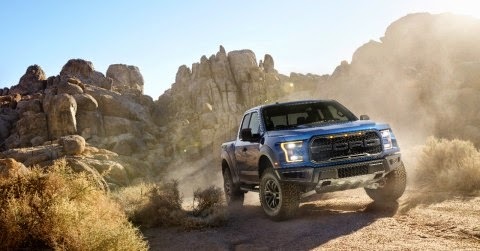 Ford engineers have tweaked every single part of the F-150 Raptor to ensure that it is the toughest, smartest, most capable off-roader out there. It's so strong and tough, you just won't be able to get enough! Ford's Next-Generation SVT Raptor features the strongest frame in the F-150 lineup, which is made up of more high-strength steel and has reduced the truck's weight by more than 500 pounds to improve performance and capability. 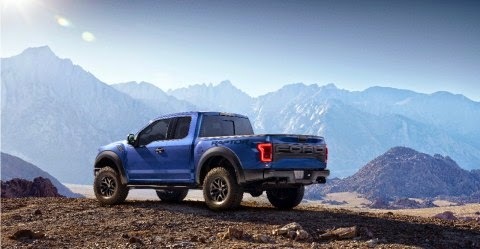 The all-new Raptor has Ford's new, second-generation 3.5-liter EcoBoost engine under the hood, which produces 411 horsepower and 434 lb. -ft. of torque! Ford's all-new SVT Raptor is more capable than ever and has been redesigned with larger FOX Racing Shox for more suspension travel and terrain management technology. This baby will surely be able to tackle even the toughest terrains in America - from the Mojave Desert to Michigan snow. The all-new Raptor will be built at the Dearborn Truck Plant and go on sale in Fall 2016. Brighton Ford is located at 8240 Grand River Ave. just north of I-96 in Brighton. We are a family owned and operated business that strives for customer satisfaction. For more information on Brighton Ford visit BrightonFord.com or give us a call at (800) 836-7417. FREE 2015 Auto Show Tickets from Brighton Ford!